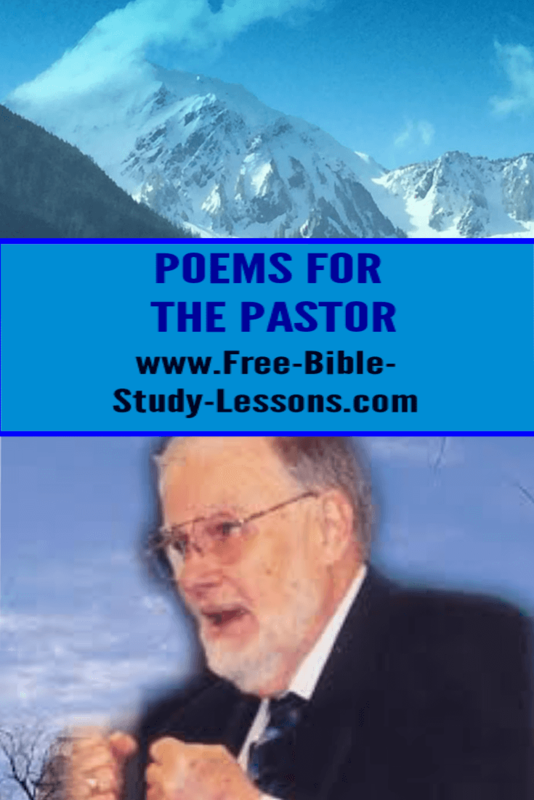 Thank you pastor poems are a good way to show your pastor that you are thinking and praying about him/her. Pastors have a very difficult calling in life. They need a word of encouragement [or many words!]. Thank you pastor poems are a good way to show that you care and to show appreciation for all that they do. Whether you have a special pastor appreciation day or just slip it into their office, a poem or short heart-felt message is sure to lift their spirits. Below is an original poem by Mrs. Shirley Davis that you may use if you like. Mrs. Davis has written many poems - including putting many books of the Bible into poetic form. [These might be a nice gift for your pastor.] If you would like more information about poems Mrs. Davis has written, you may contact us and we will forward your email to her. That your sheep will heed what you say. You deliver the messages God gives to you. To listen and obey is your wish for all to do. You care for your flock in a most loving way. You visit those who are shut-in or sad. You may be the only visitor they have had. Encouraging each to fulfil their ministry. And divide. You seek relationships to repair. You challenge him or her without delay. Using the Scriptures to counsel and guide. Thanks, pastor, for all that you do. We really do love and appreciate you. Receive our free e-book, Increasing Effective Ministry, by clicking here. Here is another poem about pastors that you may enjoy. With the Bible upon his knee. "I remember the days of old." "In love hath bound us up." With the winds from a far-off shore. Heaven's safe and blessed ways. At the poor man's fire and the rich man's feast. The treasures that ever endure. When Santa Claus stalks in. Where the fierce young troutlings hide. And the desolate mother's moan. And weep with them that weep." This lonely and toilsome way. And brighten the homeward road.